In the first week of October, after not having visited the place for more that five years with my wife and other blogger friends, I was able to visit Island Cove again, this time, not just with my wife, but with our son as well. This was an answer to our prayers because the week prior to this, our son had his bubble popped after the fishing area in Eden Nature Park in Davao closed on us. It was such a blessing to have his fishing dream fulfilled, thank God for Island Cove Hotel and Leisure Park. Located in Kawit, Cavite and only 15 minutes away from SM Mall of Asia via Cavitex, Island Cove is the nearest destination for every family, whether overnight or a quick day trip. No similar place is like it in terms of distance and amenities offered for visitors. For my family, it was an easy whole-day escape a few Saturdays ago. In less than an hour, we were getting off the van which we rode on from Makati Central Business District. 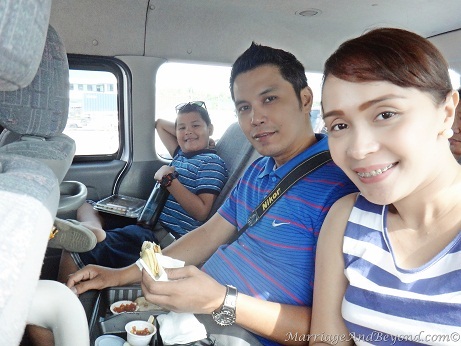 My wife, son and other bloggers getting on the van to Island Cove from 6750 Ayala. As the one who drives in the family, I find this short travel for a getaway very appealing especially because taking a long drive to go to a vacation spot leaves everyone tired from the travel home. Imagine coming home from a trip - one to two hours on the plane and the drive home from the airport. It makes you want to just take another vacation when you get home. Aside from its accessibility, there are a ton of things that every family can enjoy in Island Cove. For those who love nature and the sun, you have the Oceania Swim and Splash Park which has a new 350-square meter, child-friendly splash park with water-safe ethylene propylene diene monomer (EPDM) rubber flooring. The Oceania has a main pool which houses four giant slides and a huge inflatable slide. There are other pools - a mini pool and the kiddie cove pool. Paddle boats are available in the Kiddie Cove Pool for free. The Oceania Swim and Splash Park is 3,000 square meters area of pool fun and is the biggest in Mega Manila. Families can hold reunions, one-day swim trips and hang out in one of Oceania's gazebos. They also have cabanas and huts available for smaller groups. Operations hours are 8:00 AM to 6:00 PM from Mondays to Thursdays and 8:00 AM to 8:00 PM from Fridays to Sundays and holidays. Other amenities that this wonderful island are the Island Cove Wildlife Sanctuary which gives you a unique zoo experience, the Adventure Zone which is a paintball and airsoft game site and the Island Cove Maze Challenge. Their other outdoor facilities include a basketball court, a tennis court, a 1.4-kilometer jogging path, several playgrounds for children and a giant chess set. Bikes are available for rent. As for their indoor facilities, they have billiard and table tennis tables and a game room with Wii, Playstation 3 and Xbox consoles. If you like to work out, you can visit their full service gym. For those who like to sing, the Bayside KTV would be perfect. It has nine private rooms that can seat groups of 2 to 30. Each of its unique rooms has up-to-date equipment that plays more than 3,000 songs in Chinese, English, Korean, Japanese and Filipino. 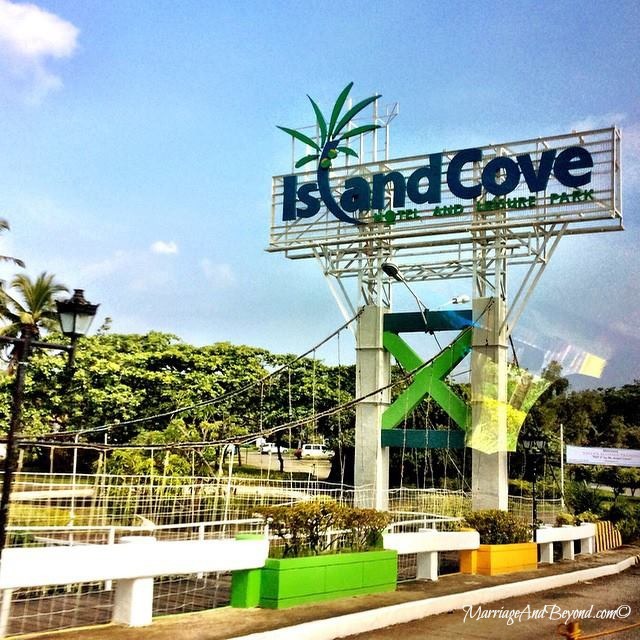 For more information, log on to www.islandcovephil.com, call (046) 434 0210 or email inquiry@islandcovephil.com. You can also follow Island Cove's Facebook Page, Instagram and Twitter accounts.